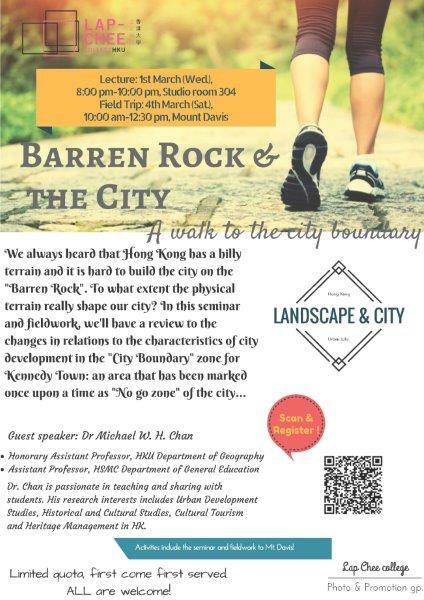 Guest speaker: Dr Michael W. H. Chan Dr Chan is currently an Honorary Assistant Professor in HKU Department of Geography, and Assistant Professor in Department of General Education at Hang Seng Management College. He is passionate in teaching and sharing with students. His research interests are focused on Hong Kong issues, including Urban Development Studies, Historical and Cultural Studies, Cultural Tourism and Heritage Management in Hong Kong.